Trails are currently closed while the snow is continuing to melt. BRMC MOUNTAIN BIKE TRAILS GRAND OPENING MAY 11, 2019 9:00am Click HERE for more info! 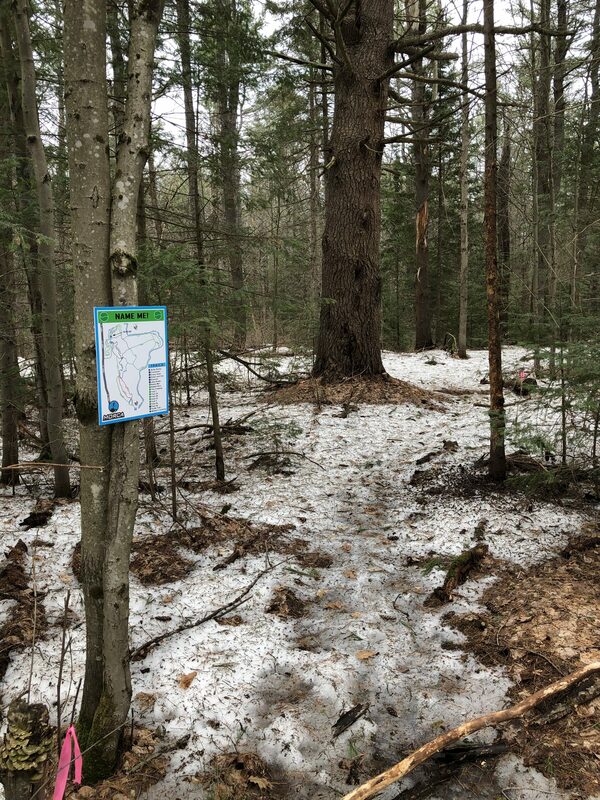 The Bracebridge Resource Management Center Trails or BRMC trails are located off Highway 11 just north of Bracebridge. There is a mix of double and single track, making these trails perfect for all skill levels, with lots of great signage and two parking lots for you to access the trails. Washrooms are shown on the map. Please note, these are outhouse style toilets that are maintained. Please respect the outhouses and advise us immediately if there is maintenance required on these. Pavillion/Picnic areas are also shown on the map below for mid-riding snacks and lunch. There are NO water fill stations within the BRMC, so make sure to bring enough water for your entire ride! Please “Pack in Pack Out” and use the animal proof garbage containers supplied within the trail systems. Please do not leave bags of garbage next to the bins, as this will only attract unwanted animals. As this is a volunteer based club, please let us know via Facebook/Instagram/Email (info@morca.ca) OR submit a report on Trailforks if there are any trails requiring immediate maintenance, trees down, etc. No motorized vehicles are permitted on the BRMC trails. 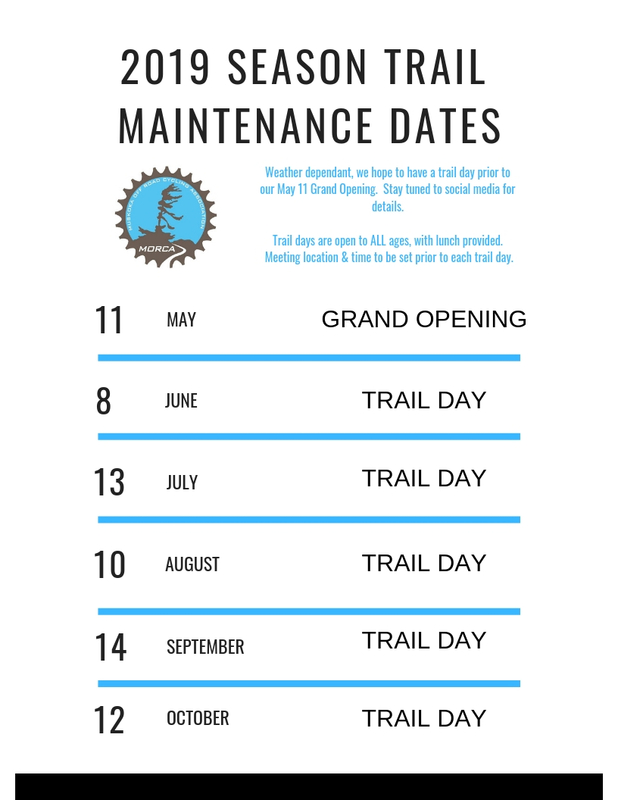 Trail Build/Maintenance days are are scheduled for each month in the summer season. These trail days are open to the public, and “the more the merrier!”. Full details are available on our Facebook page. Trails are approximately 10 minutes from downtown Bracebridge, with many options for lunch, coffee, local brews. 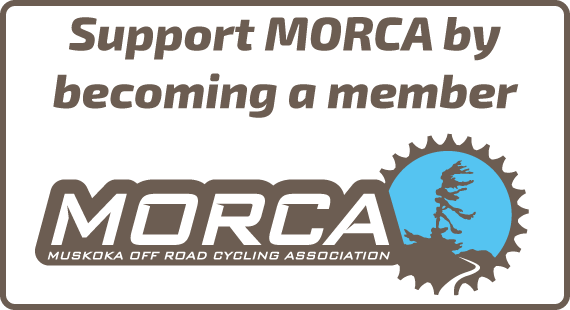 Visit our sponsor page to see who has supported MORCA this season!